She’ll be talking tonight about her daring climb of K2 in August 2011. Ms. Kaltenbrunner took a moment to answer a few questions for WeLoveDC before tonight’s event. courtesy of The Real Kvass ! What inspired you to first begin mountain climbing? What drew you to the mountains? My interest in mountain climbing developed at a very young age. It was Reverend Dr. Erich Tischler, a youth group leader in my hometown of Spital am Pyhrn, Upper Austria, who introduced me to the fascinating world of mountains. After the Dominical church service, he would take me along on numerous tours to the mountains surrounding my hometown. At the age of 13, I ventured on my first easy climbing tours and during the following years, I never skipped an opportunity to go climbing. 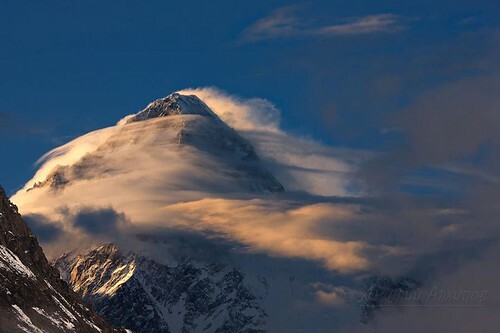 What event(s) led you to decide to climb the 14 eight-thousanders? After climbing Kangchendzönga in 2006 together with my husband Ralf, we dreamt of being on top of every 8,000 meter mountain. Every single peak was very fascinating to me. What kinds of preparations do you do to prepare for a climb that are different than other climbers? I’m very consistent in drinking up to 5 or 6 liter – also in high altitude. How did you overcome the death of Fredrik Ericsson (her climbing partner on K2 in 2010) to challenge and triumph over K2 last year? When I returned to BC after I topped out K2, Fredrik’s father gave me a ring. This was very emotional for me. I didn’t find closure with the incidents of 2010. There will always be phases which make me think of Fredrik. But we talked a lot about him, we all knew him very well. This helped me a lot. 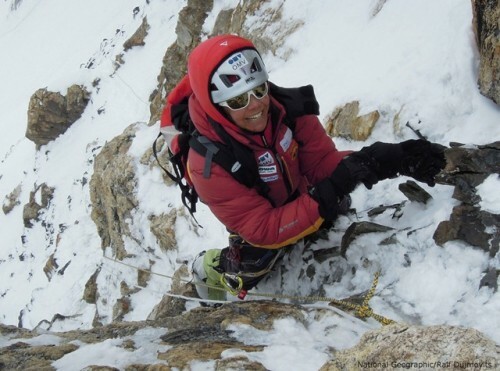 Tickets are still available for tonight’s event “Conquering the 14″ with Gerlinde Kaltenbrunner at the National Geographic Museum, 1600 M Street NW. Parking is free after 6 pm.